I fail to understand why some people have such lack of respect. You register for the Telephone Preference Service but the calls still come through. The caller makes a half-hearted attempt to apologise and promises to remove you from a database you should have never found yourself added to. Sometimes they even keep their promise. Email providers have spam filters to try to stop those annoying Viagra messages, the scams, viruses, the direct marketing emails which you never subscribed to in the first place and suchlike. When it comes to your home however, there appears to be very little you can do about it. A direct marketing company on Twitter, who shall remain nameless out of respect for their privacy, mentioned they’d be posting their junk mail in my area. When I asked them to respect the A4 No Junk Mail notice posted at my front door I was asked for my address as if they’d exclude me personally. I’d inferred from this that all other notices wouldn’t be respected after their post of “errors can be made”. It is my belief that if someone cannot mistakenly ignore an A4 notice with large print. Before I knew it others were joining in, saying I should give them a break as if I’ve done something wrong. I’ve registered with the Mail Preference Service but unfortunately this only covers junk mail by post, not the people who ignore a notice that can be seen from my gate. So, what can be done? 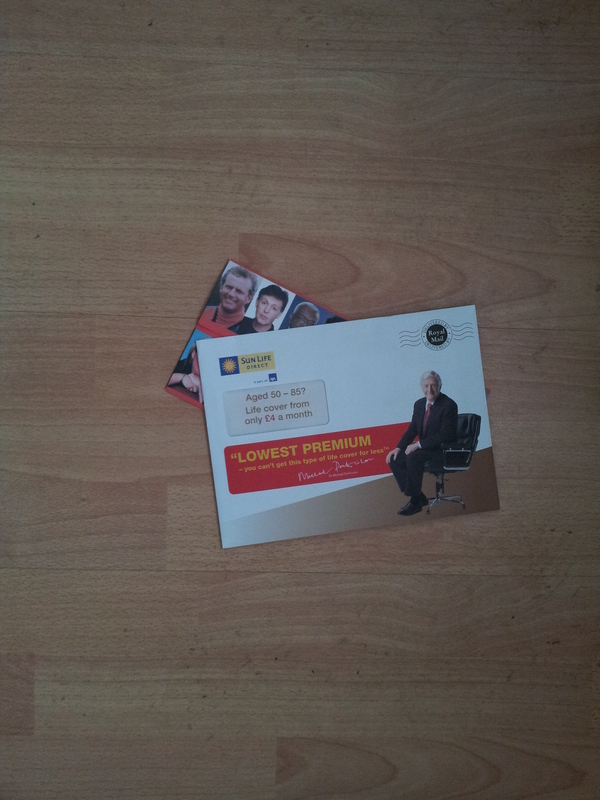 Short of having words with the person who posted the junk mail, it appears not a lot. One suggestion was to look up a Freepost address for the companies who use Direct Marketing, attach their junk mail to a brick and post it to them. Another is to call each company whose junk mail is received and waste their time. Why is it a big issue for me? Well, as many of you know each time I walk I’m in a great deal of pain. I’m taking painkiller after painkiller just to be able to walk around the house. Everywhere I walk I require either a walking stick or crutches. Walking the length of the house to bin junk mail may not seem much but when you can’t do it naturally it becomes a big thing. To be blunt it’s pain I don’t need. The No Junk Mail notice is there for a very good reason. It’s just a shame some people don’t respect these things. Wheelie bin has wheelie gone!